Power Kush cannabis seeds by Dinafem Seeds belong to a feminized, Sativa/Indica cannabis strain that results from the cross between an Afghani #1 and a Skunk #1. It is a well-rounded but yet complex cannabis hybrid that produces an abundant crop in a short time. Power Kush is a feminized cannabis seed with which to obtain fast, high-yielding crops of a quality that lives up to the seed's name. 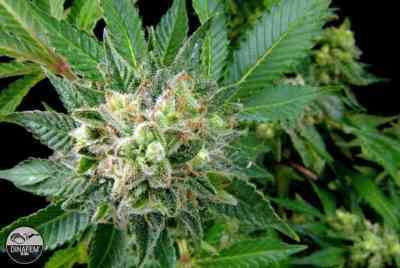 It grows into a beautiful, fast-flowering, easy-to-grow, medium/sized-big, vigorous marijuana plant that produces long, compact resinous buds. 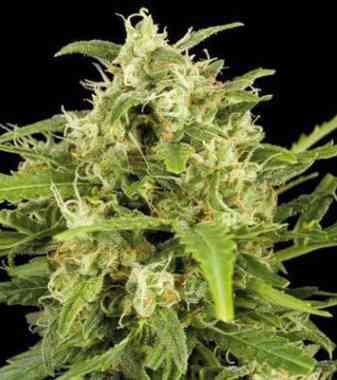 Power Kush is a feminized seed that performs well outdoors, where it enjoys temperate/Mediterranean climates and the pleasant atmosphere of the greenhouse. It grows well indoors too, particularly in SOG and SCROG systems. Providing successful crops in an easy way, it is a great option for inexperienced growers. The flavour and aroma of Power Kush are pronounced, with hints of Kush, Skunk, citrus, sandalwood and spices. 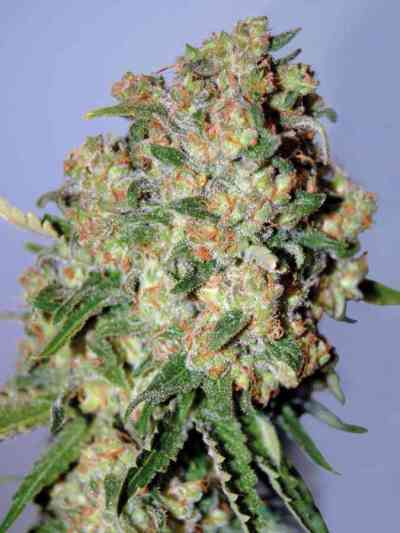 The effect is powerful, balanced, physical, cerebral and long-lasting, leading you to a pleasant estate of relaxation.